Created by James Buchananwho created the Buchanan Blend which became relied upon by many for its consistency and quality. This nice blended whisky was marketed in a black bottle with a white label and customers simply started referring to Buchanan Blend as "that black and white whisky". Before the name of the blend was officially changed, another name was introduced. James won a contract to supply the House of Commons with whisky, hence the short-lived, new name of Buchanan's House of Commons Scotch Whisky. 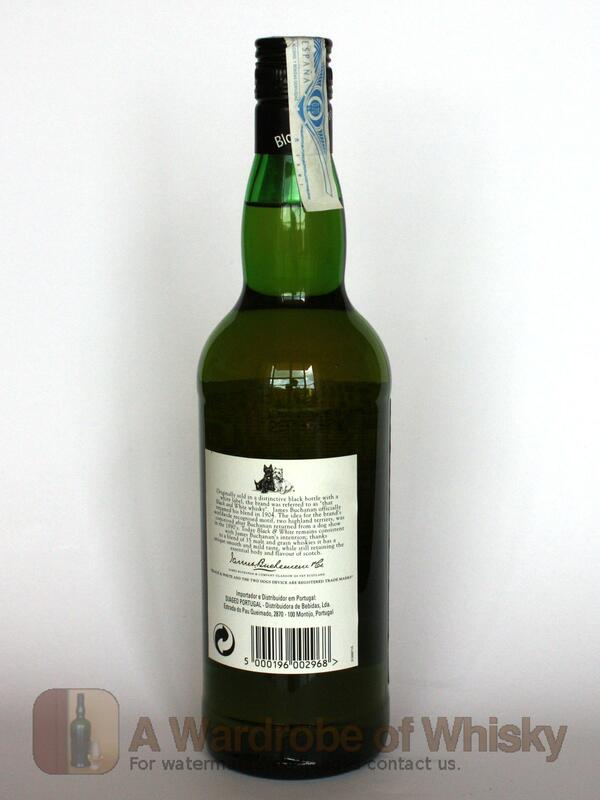 Although the name of the whisky had changed, it was still in a black bottle, it still portrayed the simple white label and customers still asked for the "black and white whisky". Buchanan - an animal lover - added the black Scottish terrier and the West Highland white terrier to the label and it was adopted as the brand's motif. It is still used today and is one of the world's most famous trademarks. 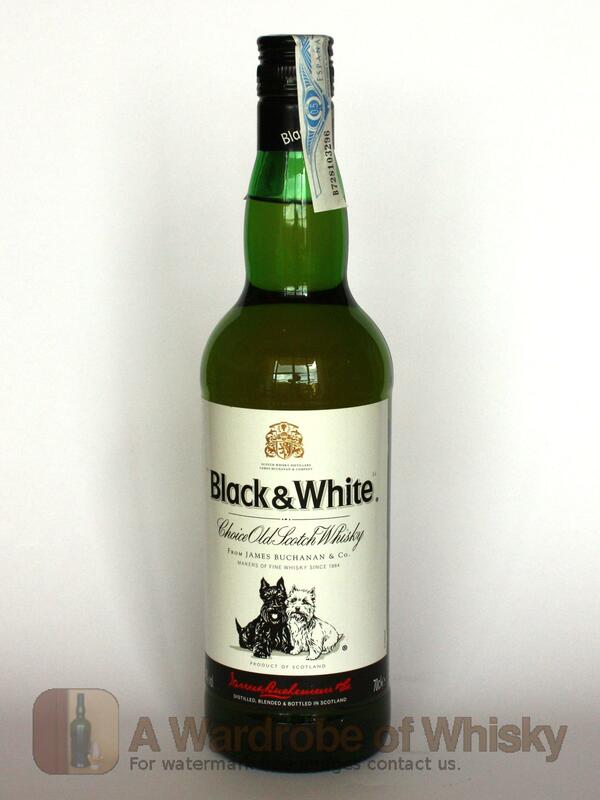 Black & White Blended Scotch Whisky was first produced in 1884. It contains 60-65 percent grain whiskies including Port Dundas and Cameronbridge.